Approaching from the south at Lizwell Meet, you enter Pudsham Wood, where, to the right, hidden in the depth of dense foliage, lies a substantial outcrop, at SX 7135 7377, we have named Pudsham Wood Tor. It is an extremely frustrating tor to reach, one that Tim and I failed to do. 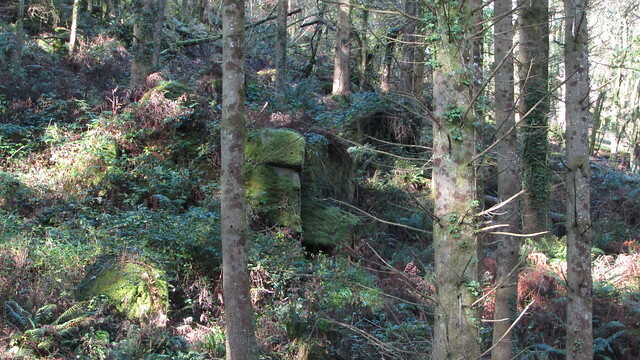 Like Raven Rock, in Ausewell Woods, it is also a difficult one to photograph. 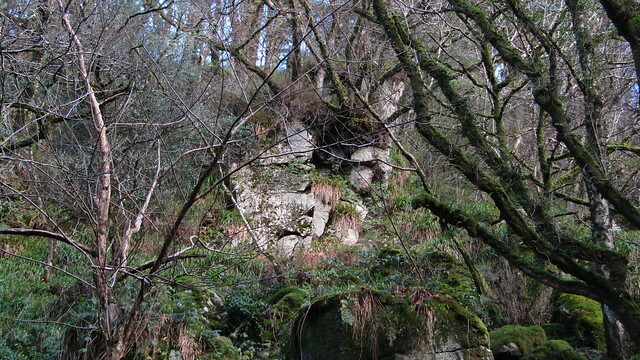 what we have is a large wall of granite, protected by tangled garden terraces that hide uneven ground and ankle traps. 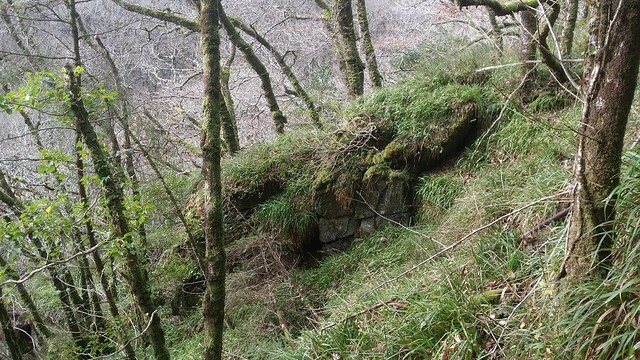 The picture below shows the extent of the problem to reach this outcrop, even with substantial clearance having taken place to the north! We even tried to access it from the track above, but the terrain is steep and the trees cannot be trusted as hand holds to steady oneself. 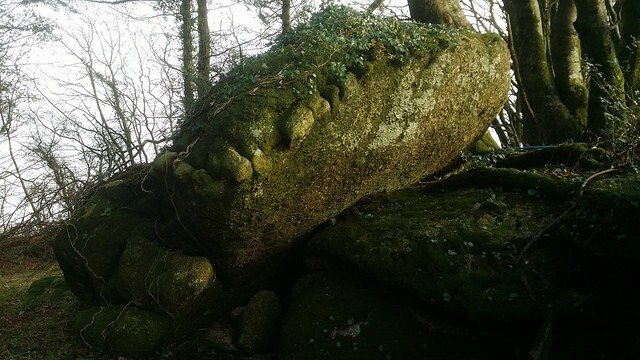 We did manage to photograph some exposed granite from the top, but the sheer scale of Pudsham Wood Tor is elusive and can only be imagined. 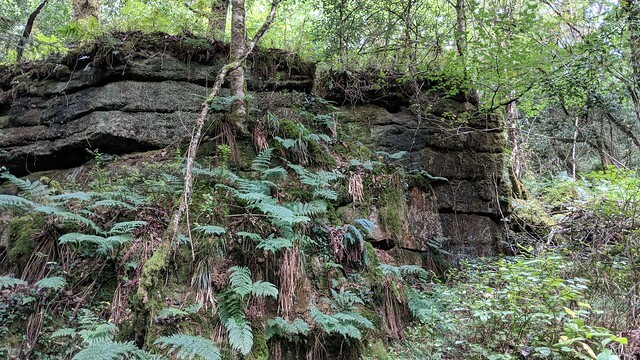 To the north, still within Pudsham Wood, and east of the East Webburn, there is an interesting collection of granite we have called Pudsham Wood Rocks. 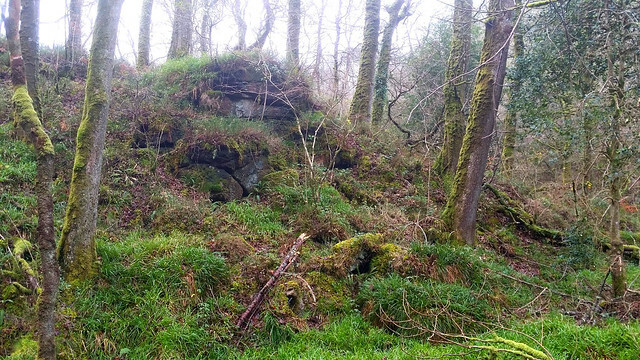 Climbing east, on a forest track, you first come across the lower pile, at SX 7150 7477; modest boulders incorporated into the boundary wall of the fields of the farm called Lower Pudsham. Climb further up the track and to your right, the boulders are more substantial and scattered. Time to leave the track and stroll among the multitude of strange shapes and pleasing outcrops that stretch up to a little used track to the farm. 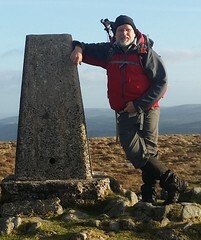 Grid reference for the top is SX 7160 7478. There are views north, across Cockingford, but this isn't good enough to distract you from the wealth of granite here. It is a pleasant surprise and a joy to be able to reach after the frustrations of the tor further south. 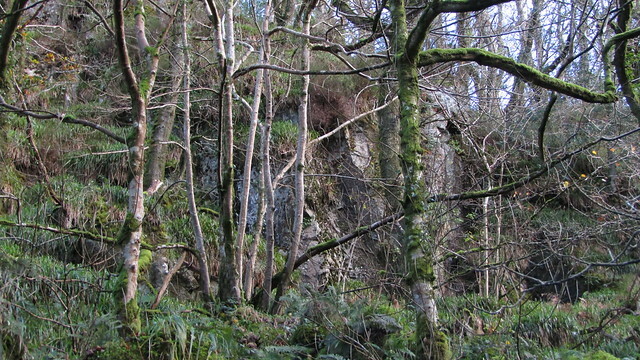 Situated on the west bank of the East Webburn, this area stretches from Lizwell Meet to Cockingford. To enter, you should cross the charming Lizwell Bridge. 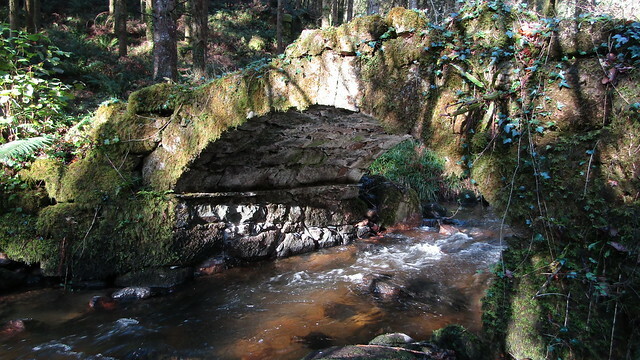 Historic England has some details on this charming bridge; "..multi span bridge known as Lizwell Bridge which crosses the East Webburn River and is situated in a steep wooded valley. The bridge survives as two low rounded arches which each measure 2.5m long, these meet on an islet in the river and are joined by a causeway. The arches are constructed of dressed granite, the rest is composed of slate rubble. 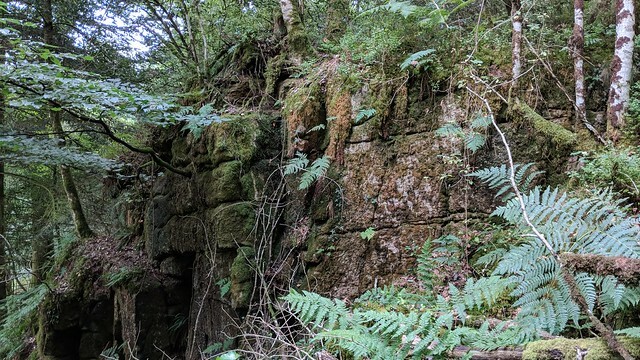 The bridge is up to 3.2m wide, the parapets are extremely low and on the northern side of the bridge at the centre a granite pillar with fixings suggest the bridge was once gated." To the north-west of the bridge, at SX 7116 7413, lies a small outcrop that we named after it; Lizwell Bridge Rock. At first, it seems insignificant, but when you move along the track to directly beneath, it looks far better. To reach it, there are some brambles and other tripping hazards to negotiate, but it is best seen for close up. 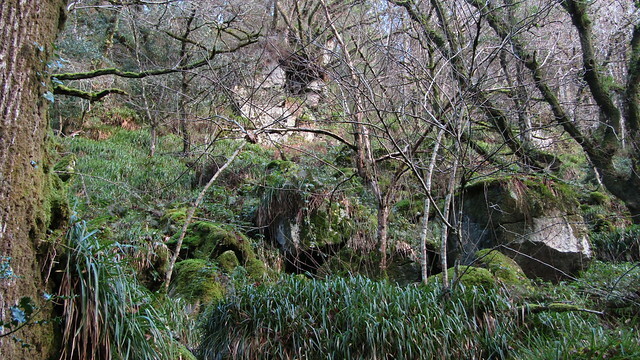 At Lizwell Meet, there sits a small, scruffy mound, where a granite outcrop is visible, albeit inundated by vegetation, like most of the tors in Buckland Woods. We have given it the rather uninspiring label of "Lizwell Meet Tor" and its grid reference is SX 7132 7373. To the west of Lizwell Meet, there is a fine tor deep within the trees above the track that runs beside the Webburns, from Cockingford to Ponsworthy. 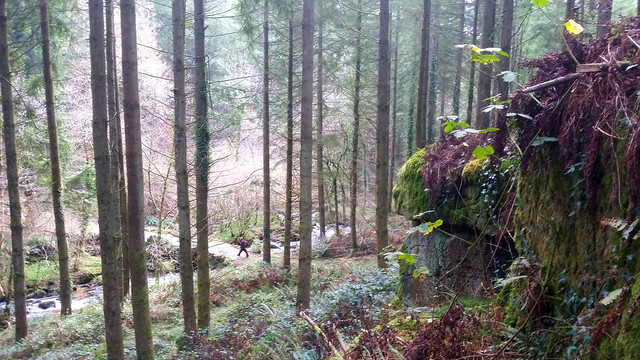 Typical of all the woodlands that are collectively known as Buckland Woods, Lizwell Wood is terrible to traverse off track. 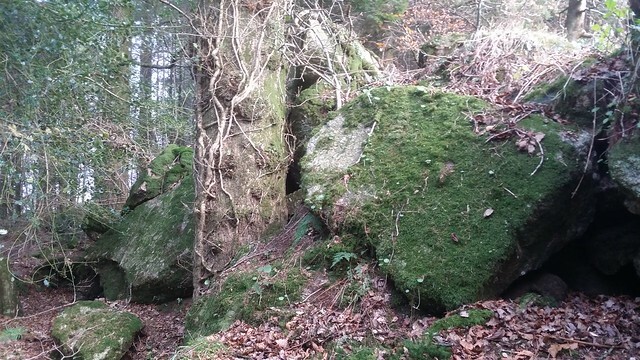 Thankfully, this one is not the worst and the visitor will see an excellent granite pile that spans the spur of the hill near the boundary with Town Wood. To the west of Lizwell Wood, spans the woodland north of the West Webburn, opposite Blackadon Down. 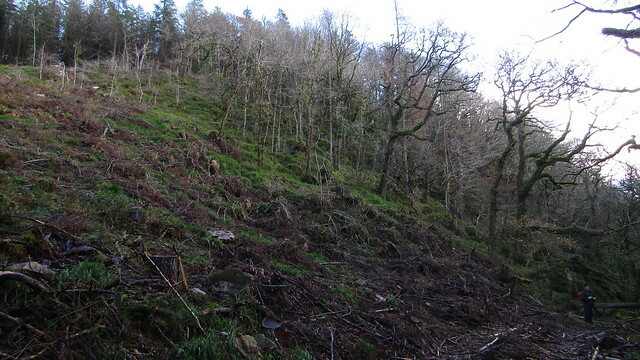 Given the scale of outcrops on the slopes of the other bank, high hopes were had for this area. 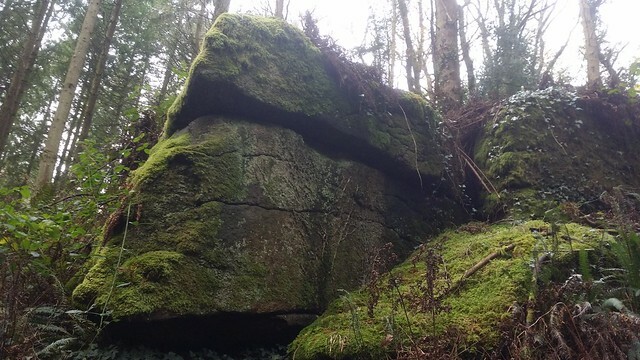 In part 3, the tors and rocks of Hardridge Wood, Coombe Wood and Greypark Wood.